YES… IT’S A COMPREHENSIVE BUILDING INFORMATION MODELING (BIM) SYSTEM!! IF YOU’RE NOT 100% SATISFIED WITH CONDOC TOOLS IN THE FIRST 30-DAYS, I’LL COMPLETELY REFUND YOUR MONEY. NO QUESTIONS. NO WHINING. JUST YOUR MONEY BACK (AND A SAD FACE). 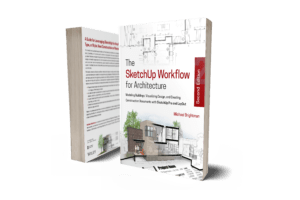 WE WROTE THE BOOK ON SKETCHUP WORKFLOW AUTOMATION …LITERALLY!! !